The sound that comes out of the lungs is the aspect of central column and it vibrates out of the mouth, which is Malchut. Because the sound is revealed in Malchut, it goes up to Binah as 70 different spiritual sounds. When the light is revealed in Malchut it has 70 aspects and the sound of our words is one form of revelation of light. When the light is restricted as a beam through a prism we reveal/see the inner 7 colors of the light (Red, Orange, Yellow, Green, Blue, Indigo, and Violet). Each light/color has the aspect of the 10 Sefirot. Sound also has 7 tones with 10 levels each. 7 times 10 gives us the number 70, which is a significant number in Malchut. It was the number of years taken from Adam after the sin, to be given to King David, who represents Malchut. He revealed the Light through the building of the Holy Temple (He planned every thing and his son completed the physical action). 70 was exactly the age of King David when he passed away. We have 70 special days in a year with an ability to connect to the Light. 52 Shabbats, 7 days of Passover, One day of Shavuot, Two days of Rosh Hashanah, one day of Yom Kippur, 7 days of Sukkoth and additional one day of Shmini Atzeret, when Zeir Anpin and Malchut are connected as one. It is the beginning and end of the Malchut cycle. The Zohar praises Rabbi Shimon for the revelation of light coming out of his mouth. It connects the 7 levels of the sound to the seven lower Sefirot that connect to the 7 holy names (lines) of the Ana B’Koach. The 42 letters of the Ana B’Koach are expressed with the ‘voice’ of God in 10 sayings and 32 times the name ELOKIM is mentioned in the story of Creations. 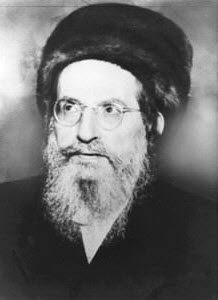 Raban Gamliet, a great sage who, like Rabbi Shimon, was a student of Rabbi Akiva, used to say “A student that his inner is not like his outer can not enter the place of Torah studies. The meaning of this saying is that when the heart of the person and his inner feelings are not the same as his words then he should not study because he won’t be able to connect. A spiritual person should always speak words that come out of his heart. Only then he can achieve higher spiritual connections and not get ‘stuck’ in Malchut. Daily Zohar #468 - Looking for a savior? Daily Zohar #470 - Can you see my words?